Do you have experience in digital media sales? Looking to take your career to the next level. 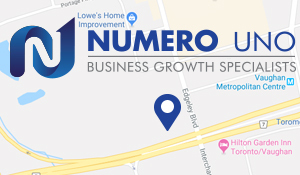 If so, Numero Uno, one of GTA’s premier online marketing and SEO companies, is looking for a sales-driven individual for an exciting opportunity as a Digital Media Sales Representative. This is Full-Time Permanent position with a competitive base salary plus commission and bonus structure. Numero Uno is a web solutions company that provides SEO and Internet marketing services to our clients. We specialize in content marketing, search engine marketing, search engine optimization, social media integration and web design & development. 2-3 years experience in sales/business development- Sales hunter is a must.